Federal government shutdown continues . . . EPA proposes GHG emission standards for new coal- and natural gas-fired power plants. The standard for new coal plants is based on application of partial carbon capture and sequestration . . . Obama’s nominee for FERC Chairman withdraws his name . . . Top White House Climate Adviser departs . . . Supreme Court will decide early next week whether to take up GHG cases . . . Congressional hearing mulls the wind PTC . . . A Federal District Court indicates that it will decide that EPA is required to move forward on issuing a rule to address disposal of coal ash from power plants . . . EPA gets a mixed decision from the Eighth Circuit on its regional haze plan for North Dakota. EPA Issues Proposed GHG Standard for New Coal- and Natural Gas-Fired Power Plants. On September 20, 2013, the Environmental Protection Agency (EPA) issued a proposed rule pursuant to section 111 of the Clean Air Act that would establish New Source Performance Standards for carbon dioxide (CO2) emissions from new fossil fuel-fired electric utility steam generating units and natural gas-fired stationary combustion turbines. The proposed rule is the highly anticipated replacement of EPA’s April 2012 attempt to promulgate regulations to limit CO2 emissions from new power plants. The new proposed rule would establish separate standards for certain types of natural gas-fired combustion turbines (at 1100 lbs. CO2 per MWh or 1000 lbs per MWh, depending on facility size), and for coal-fired electric utility boilers, including integrated gasification combined cycle (IGCC) units (at 1100 lbs. CO2 per MWh, based on partial application of carbon capture and storage (CCS) technology). The EPA has not proposed standards of performance for modified or reconstructed electricity generation units. The EPA does not anticipate this rule having a significant impact on the construction of new facilities, which it believes will be driven largely by the economics of low natural gas prices. The EPA will accept comments on the proposal until 60 days from its eventual publication in the Federal Register (delayed, in part, due to the government shutdown). For a more comprehensive description of the proposal, see the complete VNF update at: http://www.vnf.com/1032. McCarthy: EPA Will Not Require CCS in Anticipated Existing Source Power Plant Rule. Consistent with President Obama’s Climate Action Plan, the EPA’s proposal for GHG standards for new coal- and natural gas-fired power plants opens the door for regulation of existing plants. The Administration has not revealed how it plans to regulate existing sources. However, in recent comments to The Hill, EPA Administrator Gina McCarthy stated that, unlike the new source standards announced on September 20, 2013, she anticipates that existing source standards will not be based on application of CCS technology. EPA Allows More Home Heating Fuels to Be Used To Meet RFS Obligations. On September 24, the EPA finalized a rule that would expand the types of fuels that could be used to meet the federal renewable fuels standard (RFS) to include renewable home heating oil. Compliance with the RFS is met through the submission of renewable identification numbers (RINs), where one RIN is generated for every gallon of renewable fuel produced (with some adjustments for some kinds of fuels). The EPA’s September 24 rule would change the definition of “heating oil” in the RFS program to expand the types of heating oil that could qualify. The rule would apply only to fuels used to heat homes and businesses, not to fuel oils used to generate process heat or power. An EPA fact sheet providing more details on this rule is available at: http://www.epa.gov/otaq/fuels/renewablefuels/documents/420f13045.pdf. The EPA’s final rule is available at: http://www.epa.gov/otaq/fuels/renewablefuels/documents/rfs2-heating-oil-frm-9-24-13.pdf. IRS Functionally Extends Wind PTC Eligibility Through 2015. The IRS issued new guidance on what wind project developers must do to qualify for the $23 per megawatt-hour production tax credit (PTC) before its expected end-of-year expiration. The January PTC extension, the most recent in a long history of last-minute extensions, would only apply to projects that “commence construction” before January 1, 2014. Prior IRS guidance considered a developer to commence construction on a project if it either: (1) begins significant physical work by the end of this year; or (2) spends 5 percent of the total project cost by the end of this year. Each method requires the developer to maintain “continuous construction” or “continuous efforts” toward completion once construction has begun. The new IRS guidance creates a safe-harbor that deems a developer to have maintained “continuous construction” or “continuous efforts” if the project is placed into service before January 1, 2016. Contrary to some reporting, the new guidance does not remove the requirement that projects either begin physical work or spend 5 percent of total cost before January 1, 2014 to be eligible for the PTC. Additionally, developers that demonstrate through all facts and circumstances that they have met the commenced construction test will still be eligible for the PTC even if they have not placed a project into service before January 1, 2016. The IRS’s guidance is available at: http://www.irs.gov/pub/irs-drop/n-13-60.pdf. Congressional testimony by the IRS’s Associate Chief Counsel explaining the guidance is available at: http://oversight.house.gov/wp-content/uploads/2013/10/Wilson.pdf. See also the entry in the Legislative Branch section of this update on the recent hearing on the wind PTC. Federal Government Shutdown. The Federal Government shut down on October 1, 2013, when a Congressional impasse resulted in a lapse in appropriations for federal agencies, Congress, and the courts. All federal activities have ceased except for those activities that were funded outside of the normal appropriations process, supported by prior year funds, or deemed “essential” to ensure the safety of people and property. Some agencies such as DOE, FERC, and the NRC have remained open (for now) with prior year funds. Others such as the EPA have ceased almost all activities. The regulatory review process, coordinated by the Office of Management and Budget’s Office of Information and Regulatory Affairs, has also been stopped. For current updates on these and other relevant agencies, please see the latest VNF Shutdown update at: http://www.vnf.com/1087. Binz Withdraws Name for FERC Chair Confirmation. Ron Binz, President Obama’s nominee to chair the Federal Energy Regulatory Commission (FERC), withdrew from consideration for the position after significant opposition developed in the Senate Energy and Natural Resources Committee. Binz, a former Chair of the Colorado Public Utilities Commission, turned out to be an unusually controversial pick for the FERC, which had never before failed to confirm a FERC nominee. DOE Proposes New Furnace-Fan Efficiency Rule. Continuing the push by new Department of Energy (DOE) Secretary Moniz to update the nation’s energy efficiency rules and consistent with President Obama’s Climate Action Plan, DOE has proposed new energy efficiency standards for the fans used in residential furnaces and central air conditioners. The standard would vary by fan characteristics – including condensing vs. non-condensing; gas vs. oil vs. electric; weatherized vs. non-weatherized; and the maximum airflow-control setting of the fan. There are no current standards for this category of appliance, but home furnace fans are expected to be between 12% and 50% more efficient than they would be without the rule, depending on the fan characteristics. The standards will go into effect five years after the rule is finalized. The public will have 60 days to comment on the rule from the time that it is published in the Federal Register, currently delayed due to the government shutdown. A draft of the proposal can be found here: http://www1.eere.energy.gov/buildings/appliance_standards/pdfs/furnace_fans_nopr.pdf. EPA and Sierra Club Agree to Postpone Finalization of SIP SSM Rule. The EPA now has until May 2014 to finalize a proposed rule requiring 36 states to revise their Clean Air Act State Implementation Plans (SIPs) to remove exemptions for excess emissions at power plants associated with start-up, shut-down, and malfunction (SSM). This extension was agreed to by the Sierra Club, which had sued the EPA to force it to issue a final rule, but had previously agreed to settle if a rule was released by September 26, 2013. In its proposed rule, EPA notes that automatic exemptions and “director’s discretion” exemptions from the generally applicable emissions requirements are inconsistent with the Clean Air Act, but that properly formatted affirmative defenses may be permissible if they are used solely with regard to malfunctions. For more information, see http://www.epa.gov/air/urbanair/sipstatus/emissions.html. Top White House Climate Adviser Heather Zichal announced that she is departing her position for an as-yet unidentified non-government job. Zichal spent five years in the White House, and was a key architect of the President’s June 2013 Climate Action Plan. The White House has not indicated whether Zichal will be replaced, and if so, by whom. The EPA confirmed that it will not finalize its stringent “Tier 3” conventional pollutant vehicle emissions standards until February 2014. Citing its receipt of over 200,000 comments, the Agency pushed the expected date to finalize the rule back from December 2013, but has not precluded sticking with the 2017 implementation date from the original proposal. The Department of Energy is reporting that 120 advanced manufacturing companies have participated in the Better Buildings, Better Plants voluntary program, started in 2011, with the goal of reducing energy intensity by 25% over 10 years. DOE is reporting that participating manufacturers have already saved $1 billion and 11 million metric tons of CO2 emissions. The full DOE report on the program is available here: http://www1.eere.energy.gov/manufacturing/pdfs/bp_progress_report_fall2013.pdf. New Member Assigned to House Energy and Commerce Committee. On September 18, Congressman John Yarmuth (D-KY) was appointed to the House Energy and Commerce Committee. Yarmuth fills the vacancy left by the recent election of Ed Markey (D-MA) to the Senate. He has been assigned to the Energy and Power Subcommittee; Commerce, Manufacturing and Trade Subcommittee; and, Oversight and Investigations Subcommittee. The press release issued by Yarmuth's office is available at http://www.yarmuth.house.gov/press/rep-yarmuth-named-to-energy-and-commerce-committee/. Heads of EPA and DOE Testify Before House Energy and Commerce Subcommittee. On September 18, the House Energy and Commerce Subcommittee on Energy and Power held a hearing entitled "The Obama Administration’s Climate Change Policies and Activities.” According to committee-issued documents, the purpose of this hearing was to "conduct oversight of Federal agencies’ current and planned climate change activities, including the actions identified in the President’s Climate Action Plan released on June 25, 2013." EPA Administrator Gina McCarthy and Energy Secretary Ernie Moniz were the only witnesses. Both defended the scientific evidence of climate change in their testimony and throughout the questioning. Moniz stated that the "driving force" behind the President's Climate Action Plan is that “[r]ising sea levels and increasingly severe droughts, heat waves, wildfires, and major storms are already costing our economy billions of dollars a year and these impacts are only going to grow more severe.” Written testimony and a webcast of the hearing are available at http://energycommerce.house.gov/hearing/obama-administrations-climate-change-policies-and-activities. House Subcommittee Holds Hearing on PTC. On October 2, the House Oversight and Government Reform Subcommittee on Energy Policy held a hearing entitled “Oversight of the Wind Energy Production Tax Credit.” According to committee-issued documents, the hearing was intended to examine the record of the wind production tax credit (PTC) since its extension in January as part of the broader "fiscal cliff" deal. The committee also wanted to question the recent change in qualification for the PTC, allowing projects to qualify for the credit if construction commenced before the credit’s current expiration date. Subcommittee Chairman James Lankford (R-OK) said that “it is essential the IRS provide clarity on how they will evenly apply the law in a manner that reflects Congressional intent and ensure that only those who meet the qualifications receive the credit.” A full list of witnesses is available at http://oversight.house.gov/release/oversight-hearing-to-explore-future-of-wind-energy-production-tax-credit/. Supreme Court to Decide Whether to take up GHG Cases. According to its docket, the U.S. Supreme Court will decide next Tuesday whether to grant cert to nine petitions to review GHG regulations promulgated by EPA under the Clean Air Act in 2009-2010. These regulations include the Endangerment Finding; the Tailpipe Rule; the interpretation under which EPA determined that its regulation of GHGs under the Tailpipe Rule triggered Prevention of Significant Deterioration permitting requirements for major stationary sources of GHGs; and the so-called Tailoring Rule. In 2012, the Court of Appeals for District of Columbia Circuit (D.C. Circuit) rejected a set of petitions challenging the rules in Coalition for Responsible Regulation, et al. v. EPA, 684 F.3d 102 (D.C. Cir. 2012). Eighth Circuit Rejects Portions of EPA’s Regional Haze Plan for North Dakota. 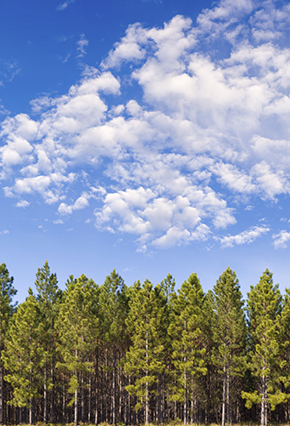 On September 23, the U.S. Court of Appeals for the Eighth Circuit (Eighth Circuit) vacated a portion of EPA’s final rule setting a federal implementation plan (FIP) for North Dakota to address regional haze, North Dakota v. EPA, No. 12-1844. The Regional Haze Rule is aimed at restoring visibility around national parks and wilderness areas by limiting nitrogen oxides (NOx), sulfur dioxide (SO2), and particulate matter (PM) emissions from major stationary sources. The consolidated case involved EPA’s determination to set a FIP after the agency found North Dakota’s state implementation plan (SIP) failed to adequately satisfy its obligations under the Clean Air Act’s (CAA) Regional Haze Rule. At issue in the case was whether EPA was required to consider the air pollution control technology being used by a North Dakota utility as part of making a best available retrofit technology (BART) determination for a particular plant. In what appears to be a slight departure from a recent string of cases upholding EPA’s regional haze rules, the Eighth Circuit found that part of EPA’s FIP failed to make the appropriate consideration. However, the court upheld EPA’s determination that North Dakota’s (SIP) was inadequate, as well as the agency’s determinations that related to several other power plants in the state. Department of Justice Indicts Three Companies in Renewable Fuels Scam. On September 17, the U.S. Department of Justice indicted three companies and six individuals for allegedly orchestrating a $100 million scheme involving the sale of biofuels and fraudulent claims that the biofuels were eligible for tax credits, U.S. v. Wilson, No. 13-00190; and Sec. and Exch. Comm’n v. Imperial Petroleum Inc., No. 13-1489. Both cases were filed in the Southern District of Indiana. The indictment alleges that one of the companies, E. Biofuels, claimed to produce biodiesel and then conspired with two other companies to purchase 99 percent biodiesel, strip that biodiesel of its renewable identification numbers (RINs) and then re-sell the biodiesel. The Justice Department alleges that the resold fuel was falsely marketed as 100 percent biodiesel and produced by E. Biofuels, when E. Biofuels never produced any biodiesel. For more information on EPA’s renewable fuel standards program and a recent prosecution involving a RINs scam, see a VNF CEA Update here: http://www.vnf.com/1874. Federal Judge Makes a Preliminary Finding that EPA Violated RCRA by Failing to Review and Revise the Agency’s Coal Ash Rule. On September 30, a federal judge for the U.S. District Court for the District of Columbia (D.C. District Court) issued a preliminary order finding that EPA has violated the Resource Conservation and Recovery Act (RCRA) by failing to review and revise the agency’s regulations regarding the disposal of coal ash, Appalachian Voices v. McCarthy, No. 12-00523. Under RCRA, the EPA is required to review its regulations and if necessary revise them every three years – the EPA has not revised its coal ash regulations since 1981. While EPA released a proposed rule to regulate coal ash in 2010, the agency failed to finalize the rule and environmental groups sued to force the EPA to commit to a deadline. In the preliminary order, the judge says that he will grant judgment to the environmental plaintiff on one of its claims “within the next thirty days.” One of the environmental petitioners’ other claims – asking the court to review EPA’s decision to exempt coal ash from regulation as a hazardous waste – was denied. On September 26, the state of Nevada petitioned the D.C. Circuit to rehear the court’s recent order instructing the Nuclear Regulatory Commission (NRC) to continue working on the Yucca Mountain license application. Aiken Cnty. V. NRC, No. 11-1271. On September 30, the NRC announced that it would not challenge the D.C. Circuit’s order. For more information on the D.C. Circuit Order, see a VNF Alert here: http://www.vnf.com/894. On September 20, the U.S. Court of Appeals for the Seventh Circuit (Seventh Circuit) denied EPA’s request to rehear a July ruling, which dismissed the agency’s enforcement action against Illinois’ utilities for violating the CAA’s New Source Review provisions. The court had held that the enforcement action was barred because it was filed after the statute of limitations had run its course. U.S. v. Midwest Generation LLC, No. 12-1026. For more information, see a VNF CEA Update here: http://www.vnf.com/news-policyupdates-861.html. The U.S. Supreme Court schedule oral argument for December 10 to review the D.C. Circuit decision that invalidated EPA’s Cross State Air Pollution Rule (CSAPR), EPA v. EME Homer City Generation LP, No. 12-1182. The U.S. Supreme Court has granted a three week extension to the Mingo Logan Coal Company to allow the company to file a petition asking the Court to hear its appeal of the EPA’s retroactive veto of the company dredge and fill permit under the Clean Water Act, Mingo Logan Coal Co. v. EPA, No. 12-05150. For more information on the case, see a VNF CEA Update here: http://www.vnf.com/1214.